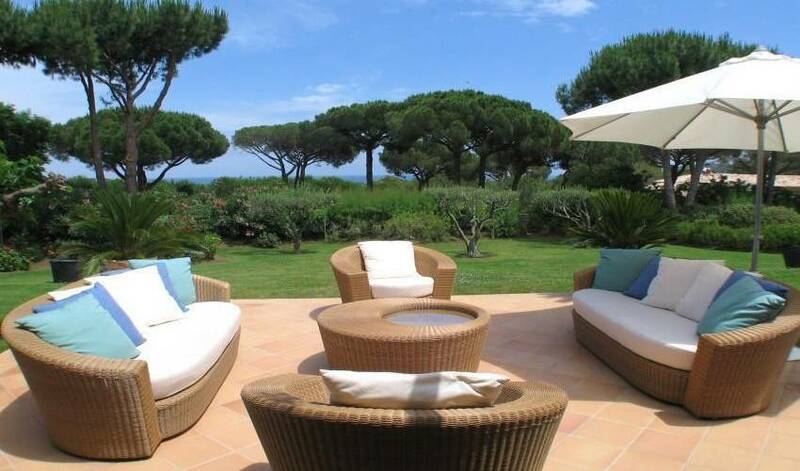 Ramatuelle - Sumptuous property with sea views nearby Pampelonne beaches This splendid villa is surrounded by a beautiful landscaped garden of 6000m2 with views over the sea in the distance. 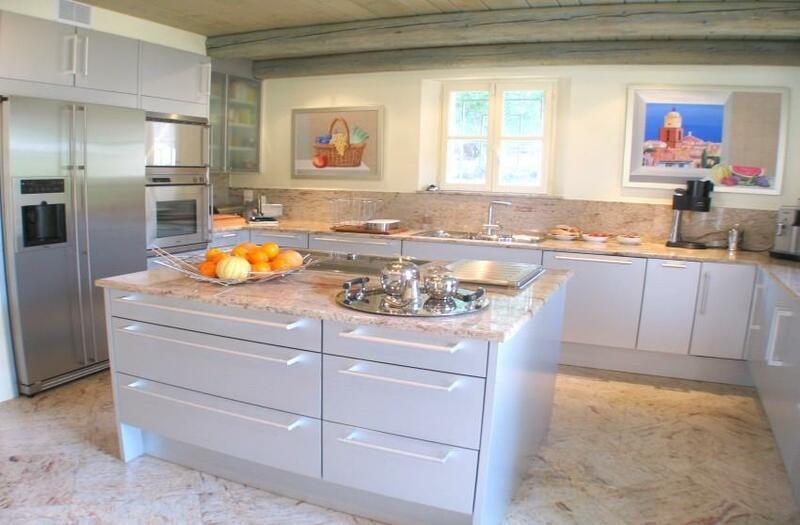 The spacious and bright interiors are immaculate, and offer very high quality appointments. 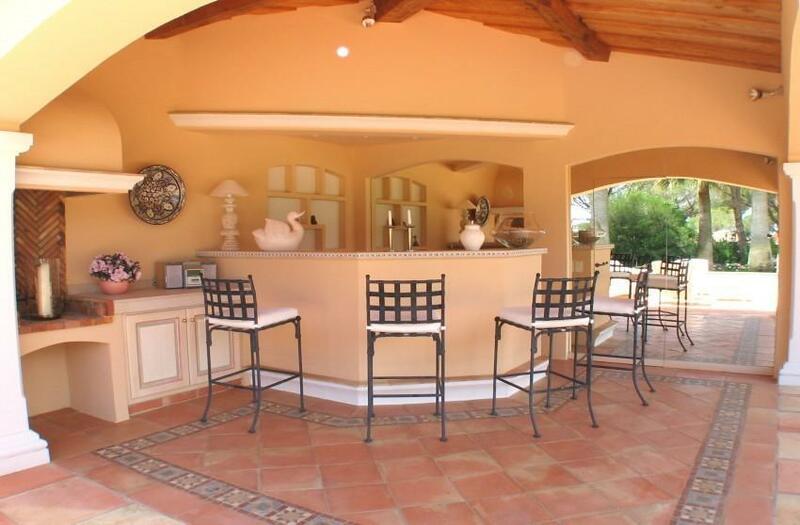 The main living area opens onto attractive terraces with dining and sitting areas. 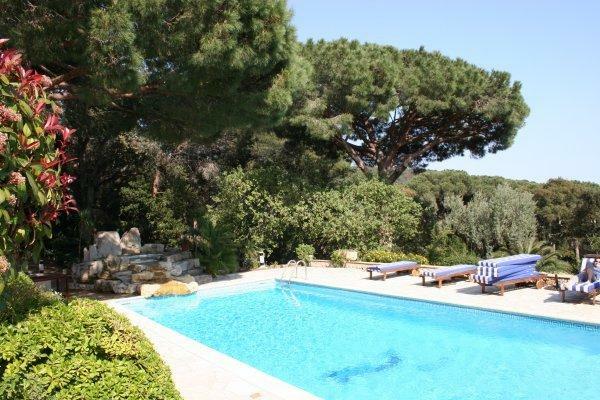 A few meters away from the house is the superb swimming pool facing the perfectly equipped pool house with summer kitchen, proposing an extra accommodation for a couple of guests. 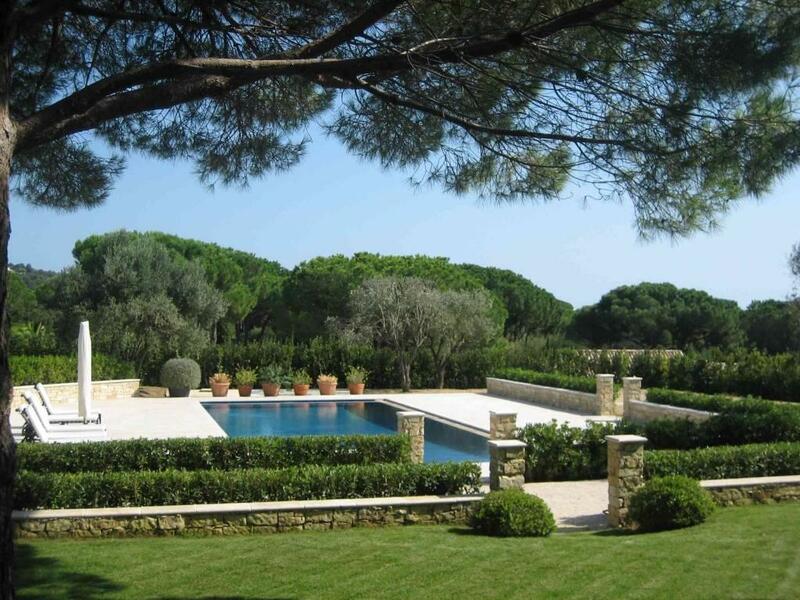 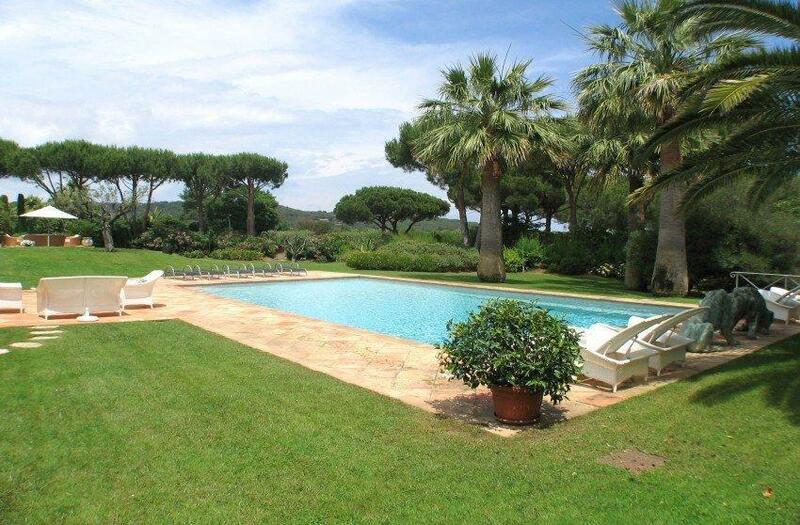 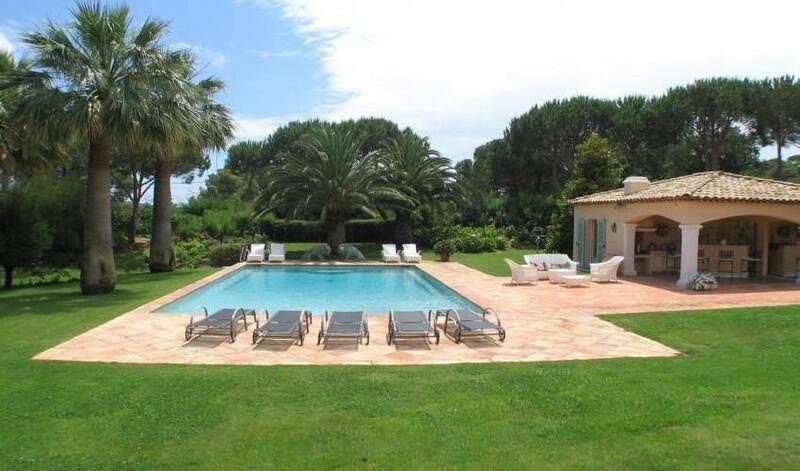 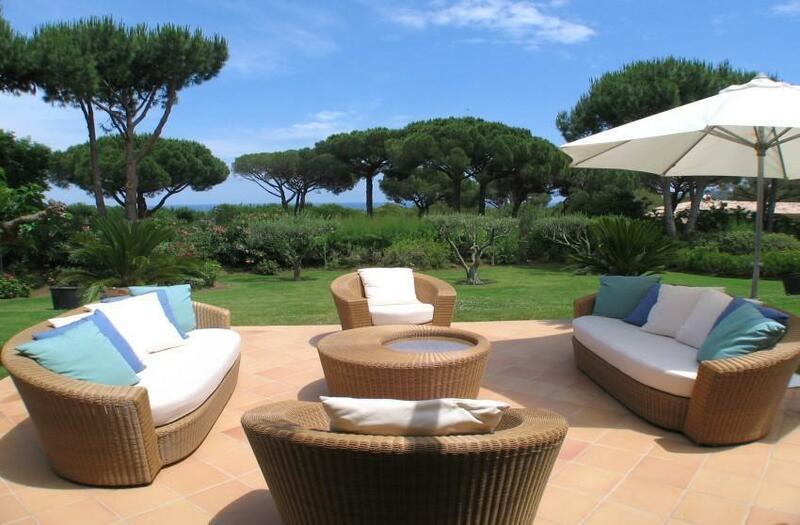 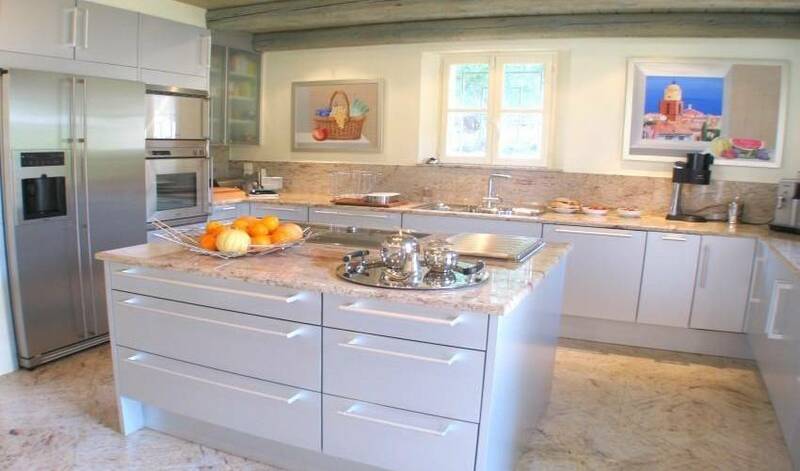 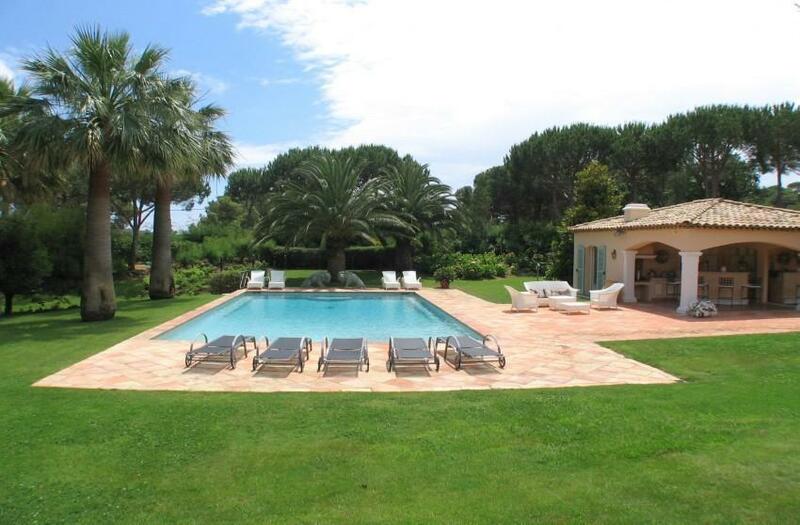 Location : Located in a quiet residential area, at 3 minutes drive from Pampelonne beaches, and 15 minutes away from the centre of Saint- Tropez. 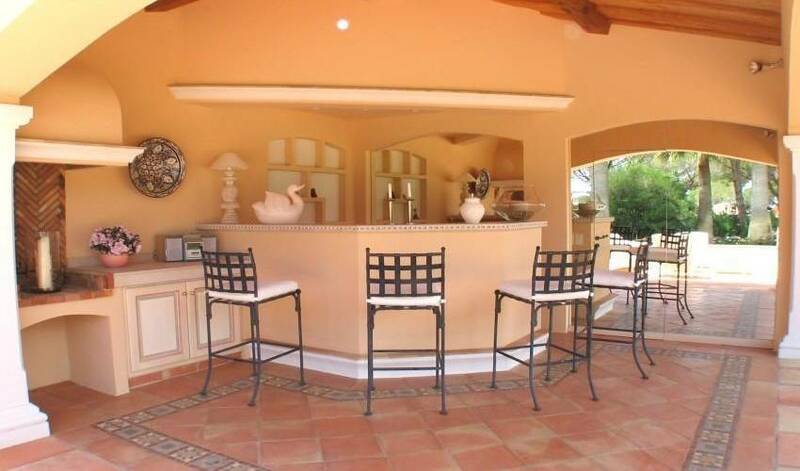 Additional details : Alarm system (interiors and peripheral), safes, air- conditioning in all bedrooms, internet connection (adsl), TV with satellite, hi- fi system in all rooms, barbecue, 30 hours cleaning per week, water and electricity charges included in the rate.